 Newberry College, an accredited institution, is a military friendly college and a participant in the Yellow Ribbon Program. More information is available in the Office of the Registrar and the Office of Veterans Affairs. The Office of the Registrar is located in Holland Hall, first floor. Call the Registrar at 803-321-5124. Use the steps below to help you compare benefits and gather the necessary documentation to request education benefits. Determine your best benefit. This page indicates what types of benefits are rewarded for various types of study and informs you of various education options and their related benefits. For Newberry Online students, please note that if you are online classes, you qualify for one-half the national average monthly housing allowance under the Post-9/11 GI Bill. Transcripts for all periods of education after high school.